With cars becoming smarter and more desirable, research shows that criminals are going to new lengths in order to take your precious motor. Hundreds of the UK’s most popular and best-selling models now come with keyless entry, making them more suseptable to simple theft than ever before. What is Keyless Car Theft and how does it work? The Ford Fiesta, Ford Focus, Volkswagen Golf and the Nissan Qashqai are just a few of the cars often targeted by thieves, who use sophisticated relay equipment, such as amplifiers paired with a relay transmitter to gain entry. With such equipment in the wrong hands, thieves will often work in pairs, identiying a car and house they want to target before utilising the equipment they’ve sourced. 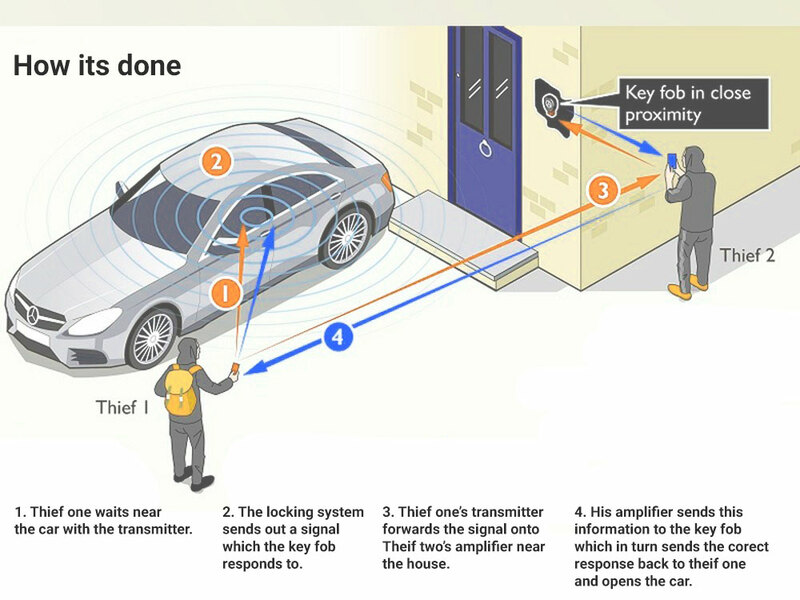 They achieve keyless entry to your car through the relay system, with one criminal standing by the car with the transmitter, while the second waves the the amplifier around the perimeter of your house, often near the front-door where most car keys are left. When a signal is detected, the amplifier will send the same signal to the transmitter, whereby your car will open and allow the thieves to drive away. With car manufacturers showing no signs of deviating from this entry type, the pool of vehicles that will become suseptable to this growing problem will only continue to increase and as such make it even easier for criminals. However you can easily prevent this sophisticated method of theft by utilising an RFID blocking car key pouch. 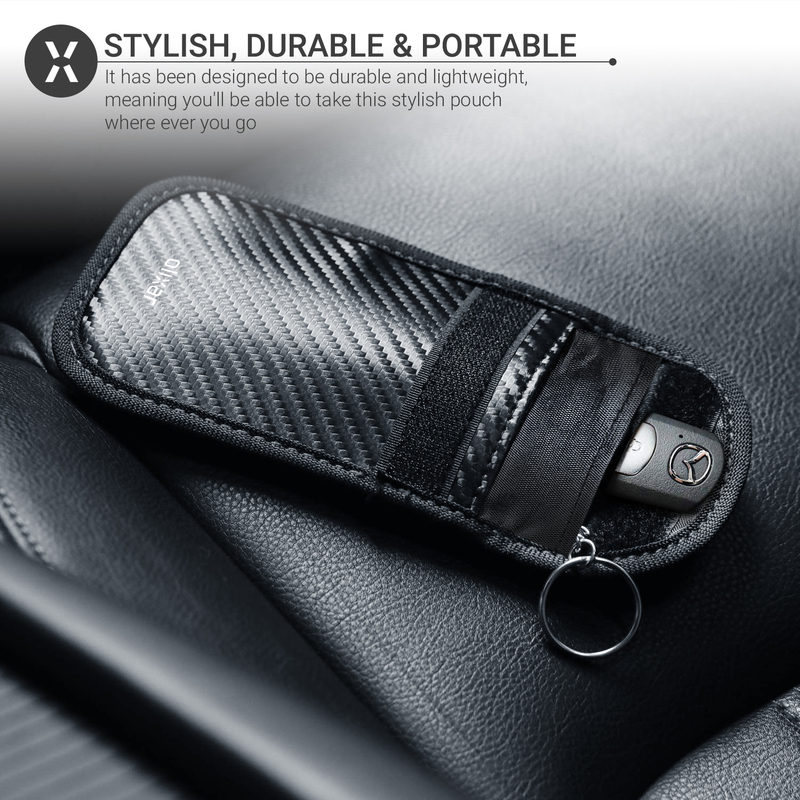 The Olixar RFID Car Key Signal Blocking Pouch provides a neat storage solution for your keys, while preventing the key’s signal from being transmitted. So by storing your keys safely within such a pouch, you can rest easy knowing that even if this horrible act was to be attempted, the criminals wouldn’t be able to access your vehicle. There are a few other steps you can take to prevent keyless car theft, which include creating physical barriers. Steering wheel locks, driveway parking posts and wheel clamps will certainly help put prospecting criminals off, although most of these actions require much more monetary outlay, as well as having to remember to set them up each time. Another option would be to add a tracking device to your vehicle should it not have one attached already. Vehicles with trackers fitted have over a 90% recovery rate, so if the worst does happen, a tracker will more often than not lead to your car being recovered. 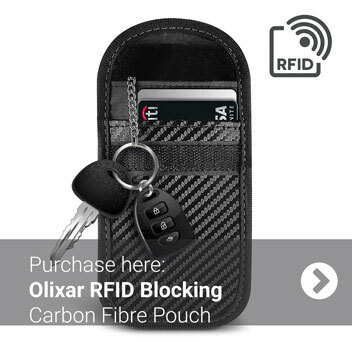 Overall the easiest method for protecting your vehicle is most certainly the Olixar RFID Blocking pouch, but by taking as many steps as possible you can ensure that your car stays safely on your drive at all times. 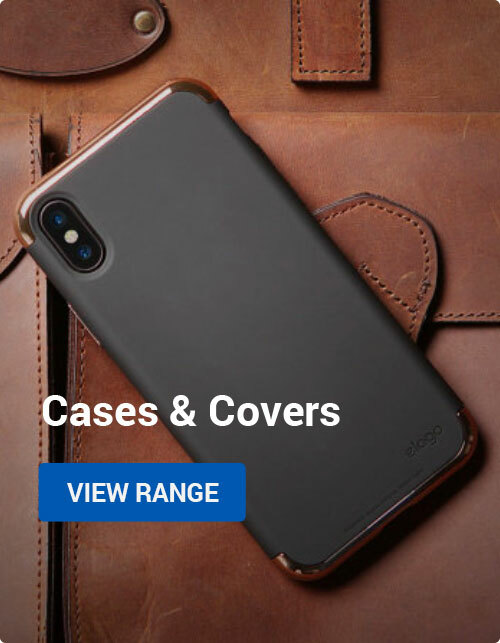 How to Guides, Mobile Accessories, News car, keyless entry, Olixar, pouch, rfid, theft. permalink. 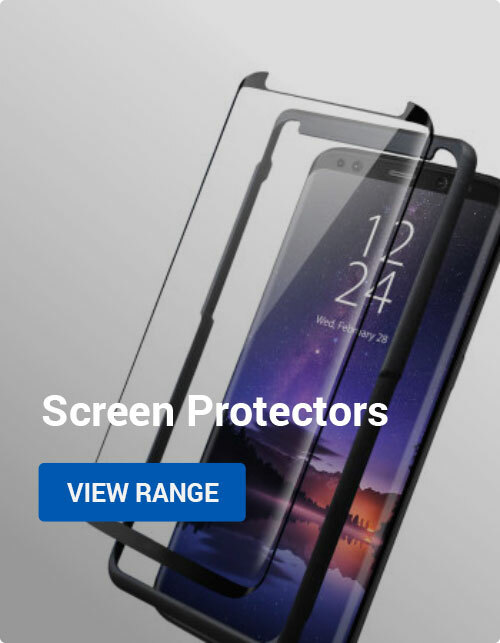 The best Samsung Galaxy S10 cases you can order now!